The Camino Side Project is a musical group founded by musician Paul Farran and his wife. On November 16th, their latest project of movement & music will be released. 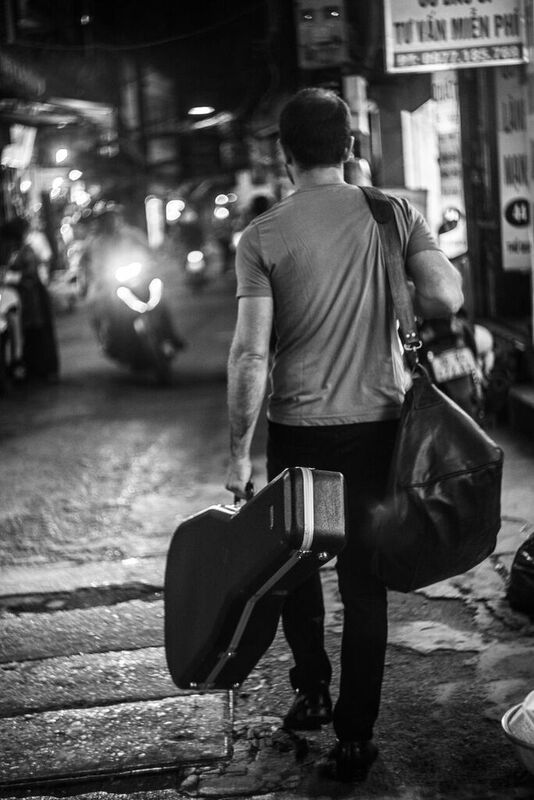 The twelve song LP explores their journey as they backpacked around the world. Falling within the realm of 90s alternative rock, folk, and Americana, this band is definitely a beautiful fall download. Beautiful chords, harmonies, and melodies meet your ear from the very first second. Farran’s voice is low, deep, and effervescent. When his wife’s vocals enter they add a new and inscrutable layer of depth. Something untamable, discreetly wild lies beneath the surface of this album. There’s an essence of freedom, resilience, self reflection seeping through each note, lyric, and melody. The tracks linger on the soul and linger in the heart and mind. Former UN employees, Farren and his wife set out to explore the many vast and calling places their hearts would lead them. Taking their small children and traveling through Asia, Europe, and Africa, they found a voice, a perspective that needed to be written down and sung. Of the twelve songs, eleven of them were recorded each in a different country. Connecting with musicians throughout the world as him and his wife travelled new frontier, they recorded songs with people from many places and with many varying walks of life. What came to be is a beautiful composite of music that truly explores humanity and life. To stream the album click here. To find out more about the project check out their website. Follow them on Facebook, YouTube, and Instagram.